Pinch Clip is moulded in polyproplene and is autoclavble. It has On/OFF ratcher clamp that can be used with tubing having O.D.5 mm to 9.5 mm. 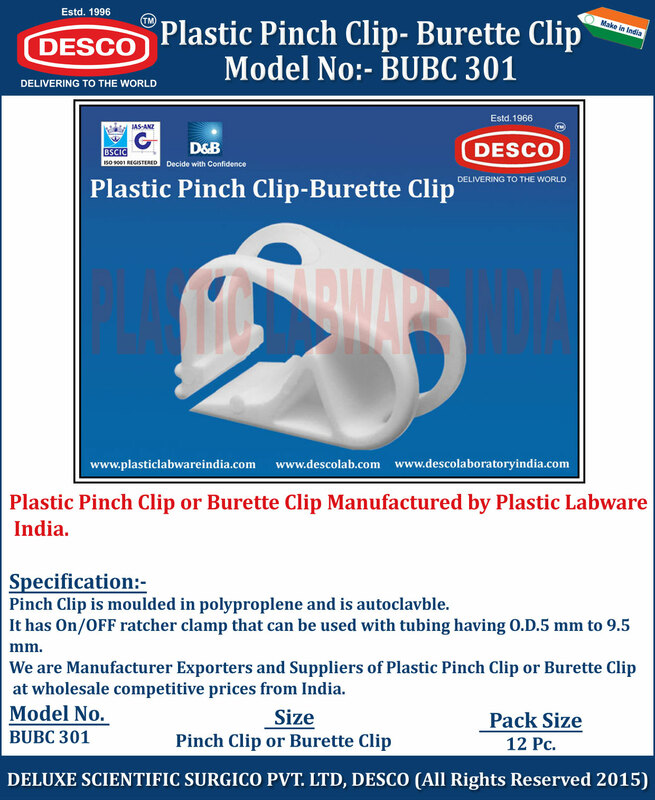 We are Manufacturer Exporters and Suppliers of Plastic Pinch Clip or Burette Clip at wholesale competitive prices from India. BUBC 301 Pinch Clip or Burette Clip 12 Pc.